Death Or Devotion earmarks an important point in the band’s own journey. Since emerging in 1998, the seven-piece band have cooked up eight full-length albums and entranced countless crowds. 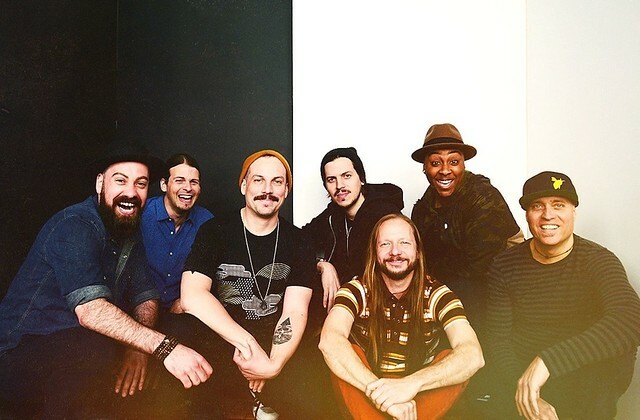 The Motet started recording Death or Devotion during intermittent sessions at Scanhope Sound in their native Colorado in 2017. The collection of nine new songs finds the band pushing boundaries and breaking new ground, welcoming old fans and new audiences alike – continually providing a welcome escape for listeners. “The Motet built its fanbase on their boisterous live shows, feel-good up-tempo funk and 420-friendly party-starting songs. But Divisnky is also aiming to bring some of our national moment’s political urgency to the band’s new tracks, like the call to action ‘Whacha Gonna Bring,’ which the get-out-the-vote organization HeadCount used as a campaign song in advance of the fall midterm elections,” said The Aspen Times.